Google’s Home Hub is a great way to keep tabs on your smart home. When the Google Home Hub ($149) arrived on our desk, we were surprised. This tiny little box can’t be it, we thought. 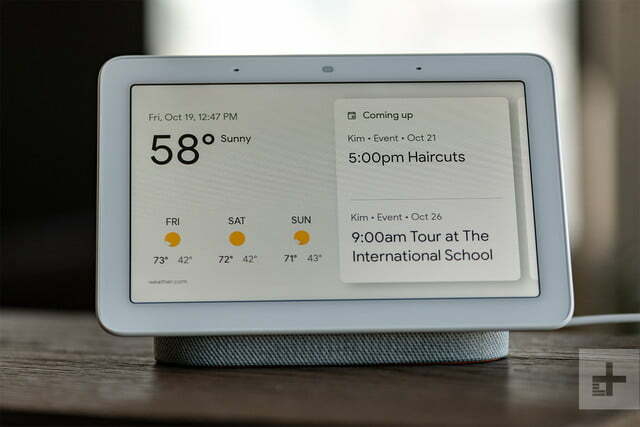 Smart displays (smart speakers with built-in voice assistants like Google Assistant or Alexa) are supposed to have big screens, big footprints, and lots of bells and whistles — right? 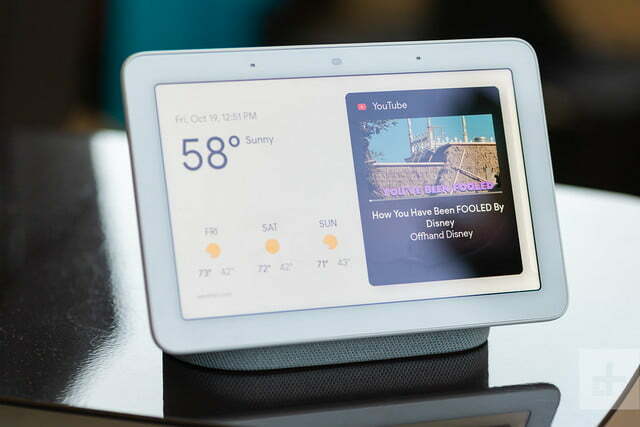 Google’s Home Hub has other ideas, and though it’s tiny, it has some powerful features that make it mighty under the hood. In a way, its simple approach is a refreshing take on the smart display — but it also feels watered down. 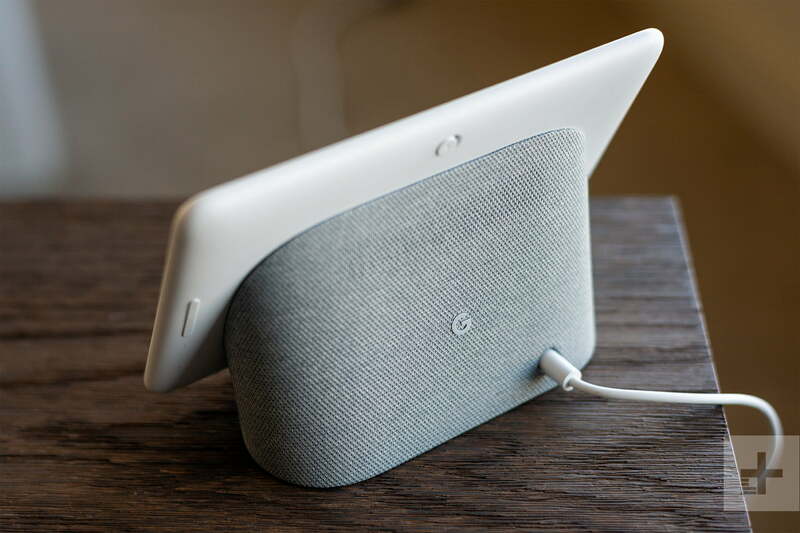 At just over 4.5 inches tall, the Google Home Hub is comparatively small, with a seven-inch portrait-style screen attached to an oval fabric stand on the back. 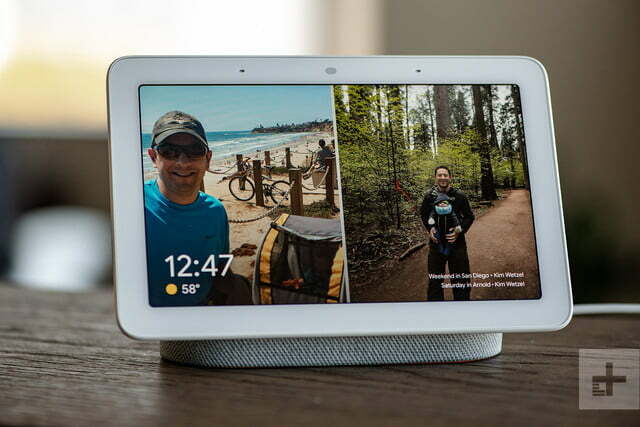 Unlike its competition, the hulking Amazon Echo Show — which features a ten-inch screen and a four-inch base — the Home Hub takes up almost no room at all, and can sit anywhere without taking up much space. That makes it easy to fit in many parts of your home. Unlike other smart displays, the Home Hub lacks a camera of any kind, which is either a good thing or a bad thing, depending on how you feel about your privacy and the lack of ability to video chat. The only buttons on the outside of the Hub are volume up/down and mic on/off. When placed next to the Echo Show and the Lenovo Smart Display (another smart speaker with a screen powered by Google Assistant), the difference in size is like comparing a tablet to a smartphone. While the Home Hub’s small size makes it more versatile — most smart displays are designed for primary use in the kitchen — it feels like a missed opportunity, given the device comes with six months of free YouTube Premium. The screen is too small to watch for an extended amount of time. 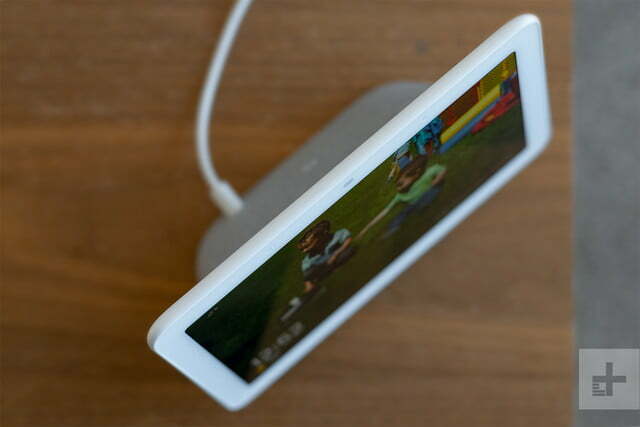 However, the Home Hub works as a digital photo frame. If you use Google Photos you can connect your albums to the device during set up and have photos of your choice rotating throughout the day. We loved this feature and found some long-lost gems in our collection. A feature called Ambient EQ automatically adjusts the brightness of the screen so that the device blends into the room. You can manually adjust the brightness as well. We also appreciate Interpreter Mode, a feature that allows you to communicate with people in different languages. 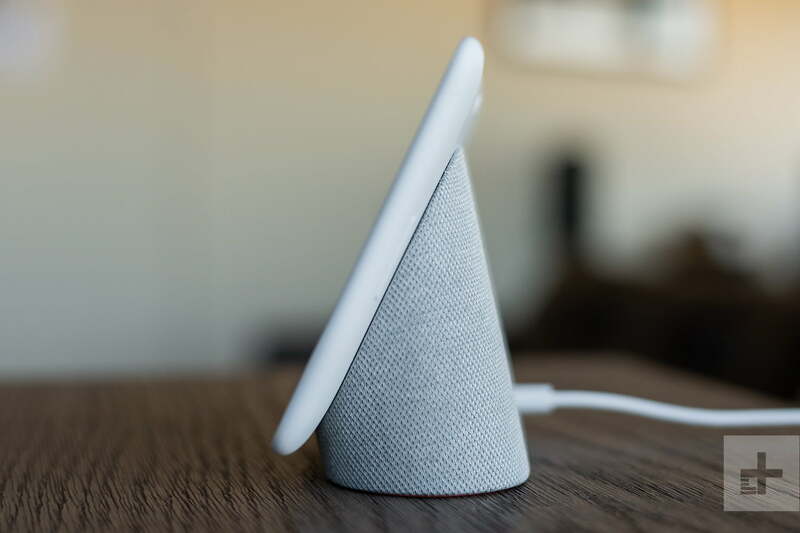 We love how easy Google Home makes it to get devices set up. The Home Hub is no different — plug it in, open the Google Home app, and follow simple instructions on both screens to get started. Depending on whether you’re already plugged into the Google Home ecosystem, you’ll have more steps to take. For example, the app will ask whether you want to set up Voice Match, which automatically recognizes your voice and give you and others in the household tailored responses. 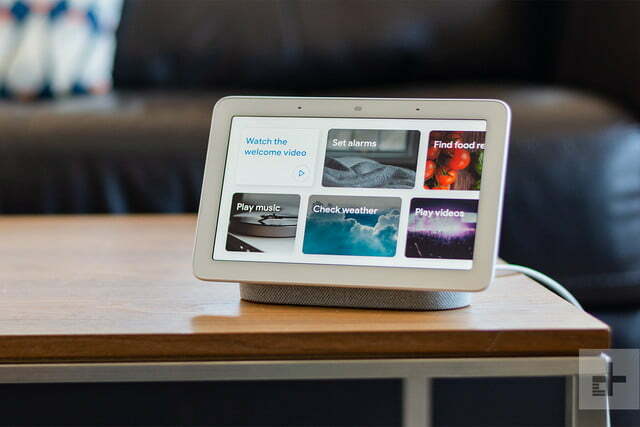 You also will want to connect to any streaming music and video services (you’ll need to log into your accounts for this) and smart home devices, which is all self-explanatory in the recently-overhauled Google Home app. 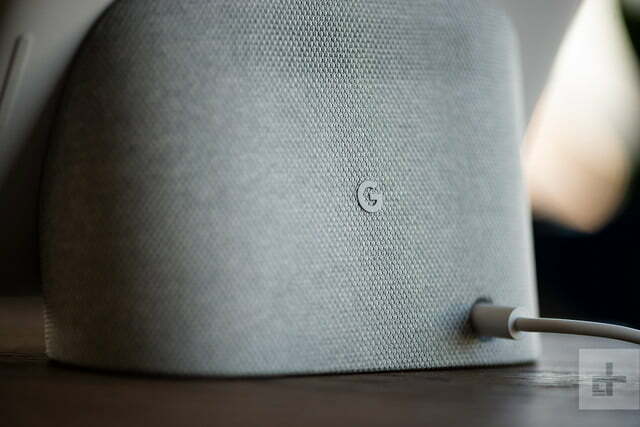 In our case, we already have a Google Home device in our test home, which made the setup process as easy as plugging in the device. The Google Home Hub is at its finest when connected to a smart home. We like the pull-down screen that gives us instant access and control over smart home devices we have connected. 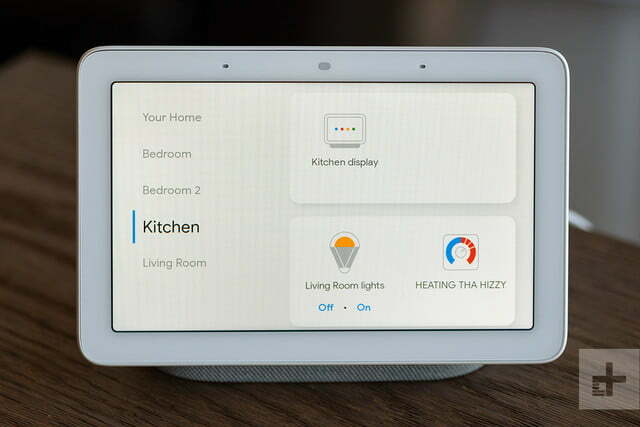 There’s still the option to use your voice to control lights, plugs, locks, cameras and more (“Hey Google, turn on the downstairs lamp”), but the pull-down menu features a nicely organized list of connected devices, and the status of each. You can tap “lights,” for instance, and get a list of connected lights and their status, or can choose by room to see a list of all the devices connected. You’ll need just minutes to organize your devices in each room. It’s an easy-to-use control panel for all your connected devices. Hey Google, what’s my morning commute look like? Google Assistant works the same no matter what smart speaker you have, but Home Hub compliments your interactions with by adding a screen. For example, if you want to a video tutorial on how to hard boil eggs, simply say, “Hey Google, show me videos on how to hard boil eggs” and then you can use the touchscreen to choose from results that pop up. 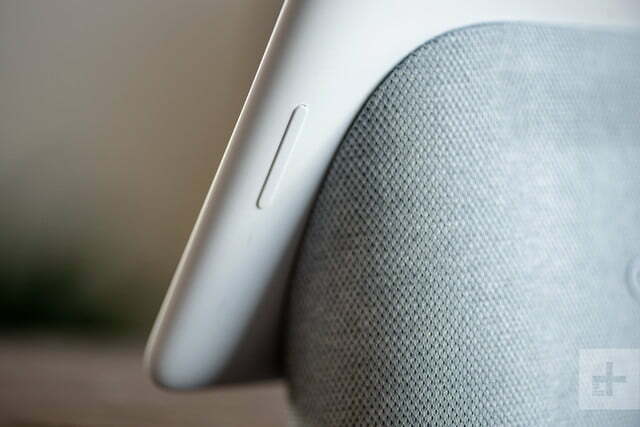 With a Google Home Mini or Google Home, which doesn’t have a screen, Google Assistant will simply read the instructions. That’s not as helpful if you’re a visual learner. The Hub is a nifty way to get a snapshot of what’s happening in the home. There’re other uses, too. If you have a Nest camera (or any compatible camera) connected to the device, you can view footage from it on the Google Home Hub. We have two Nest cams in our test house and found viewing footage from them was a seamless process. You can also answer the Nest Hello video doorbell on the Home Hub, complete with two-way communication. While we don’t have a Nest Hello in our smart home, we certainly like the idea of having an extra place to monitor movement at the front door. Because Google Assistant is already connected to our Gmail, Google Calendar, Google Maps, and other Google platforms, integration with what we’re already using is seamless. For example, when we set up the Home Hub, Google already knew us based on our account and our usage, and therefore calendar reminders and the morning commute outlook automatically popped up on our home screen. If that creeps you out, you can customize what you see. 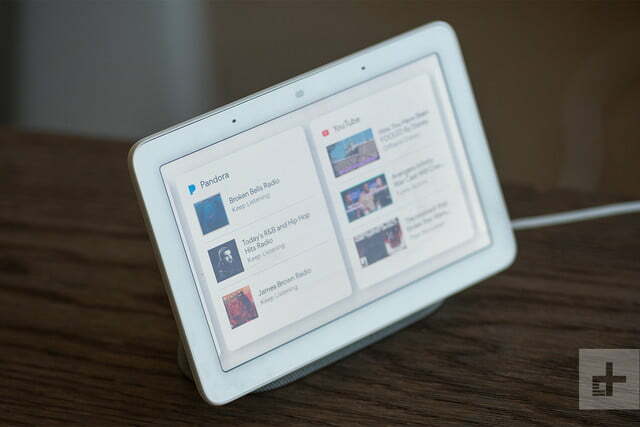 While the Google Home Hub works as, well, a home hub, it has flaws. Sound quality is the biggest disappointment. It lands between the Google Home and the Google Home Mini, and that’s not stellar. It’s not loud and lacks the bass and treble to make listening an enjoyable experience. Its speaker isn’t loud and lacks the bass to make listening enjoyable. By contrast, the Amazon Echo Spot and the Echo Show feature louder sound and a richer musical experience. 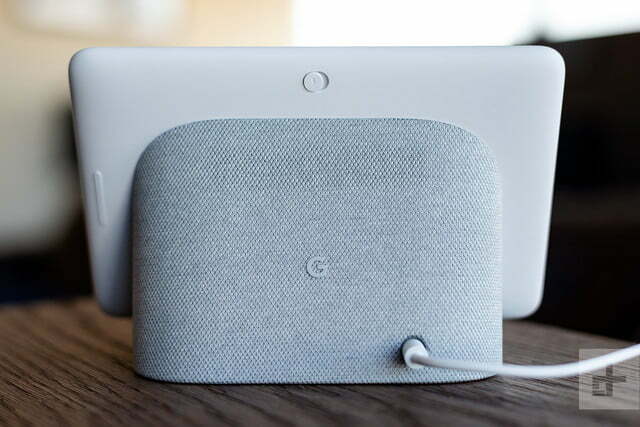 We understand and respect that Google wanted to keep the device simple, small, and affordable, but not providing at least adequate sound is a missed opportunity. 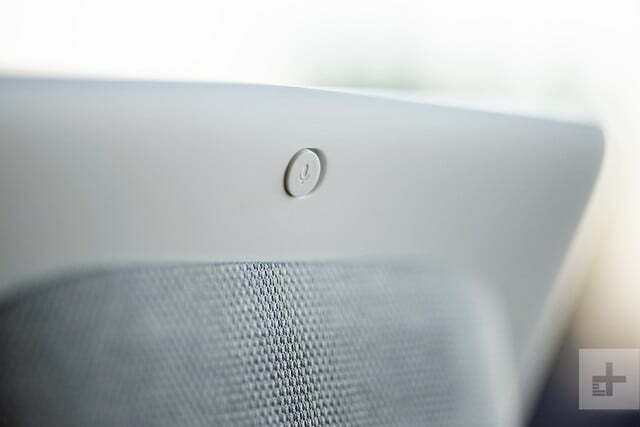 Audiophiles, or anyone who appreciates halfway decent sound, will need to reach for another speaker. The other drawback, which we alluded to before, is the screen. It’s just slightly smaller than we’d like. 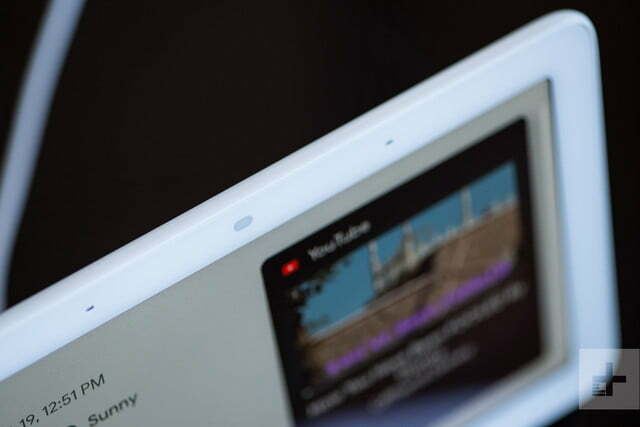 Even an inch would help us enjoy the YouTube videos we can’t access on Amazon devices due to an ongoing feud between the two tech giants. 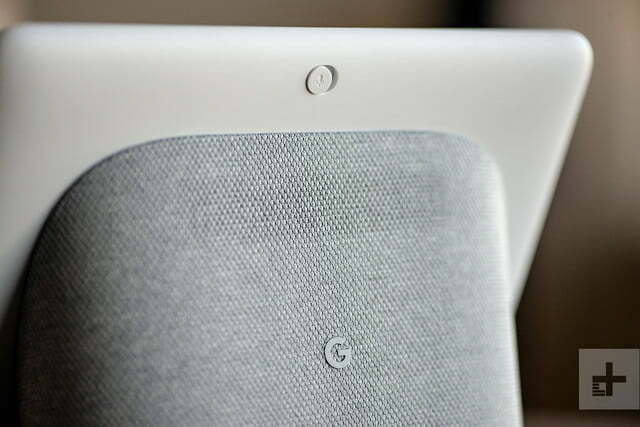 Google offers a one-year limited materials and workmanship warranty on the Google Home Hub. There’s a lot to like about the Google Home Hub. We appreciate the focus on smart home control, the pull-down control panel, and the digital photo frame capabilities. We also appreciate the lack of a camera for those concerned about privacy. We came away wishing Google made the screen, and sound, a priority. With free YouTube Premium, it feels like a missed opportunity. Still, at $149, this is an affordable price to pay for better smart home control. It depends on what you’re looking for. If you’re looking for an introductory smart speaker without a screen, take a look at the Google Home Mini ($49) or Amazon Echo Dot ($50). Either will do the trick. If you need the screen for the kitchen and love Google Assistant, the Lenovo Smart Display, available in both 8- and 10-inch sizes ($199 and $249), is the best choice. If you’re interested in Amazon Alexa voice technology, the Echo Show is a great option, with a built-in smart home hub, a 10-inch screen, and excellent sound. If you’re looking for a smart display that’s smaller, consider the Echo Spot ($130), which is meant for a nightstand or desk. You can assume that Google and Google Assistant are here to stay. 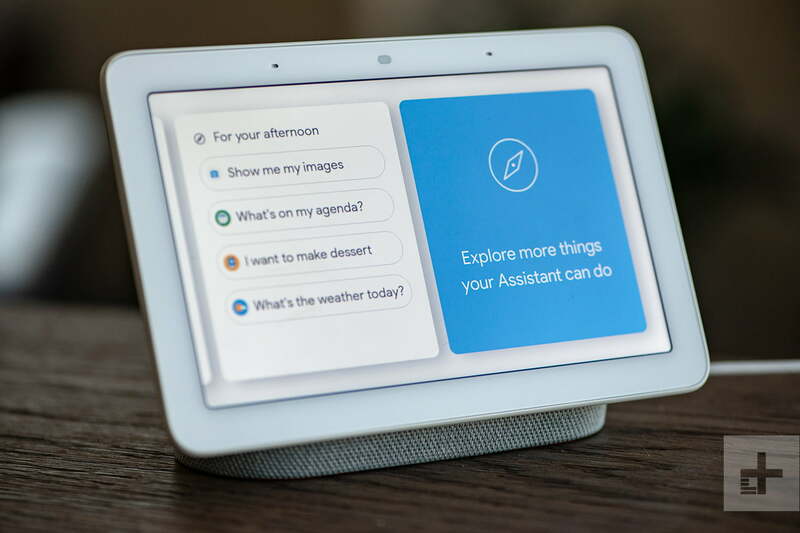 Google will continue to update and improve Google Assistant technology through firmware updates. We can’t guarantee that Google won’t introduce another smart display down the road, though. 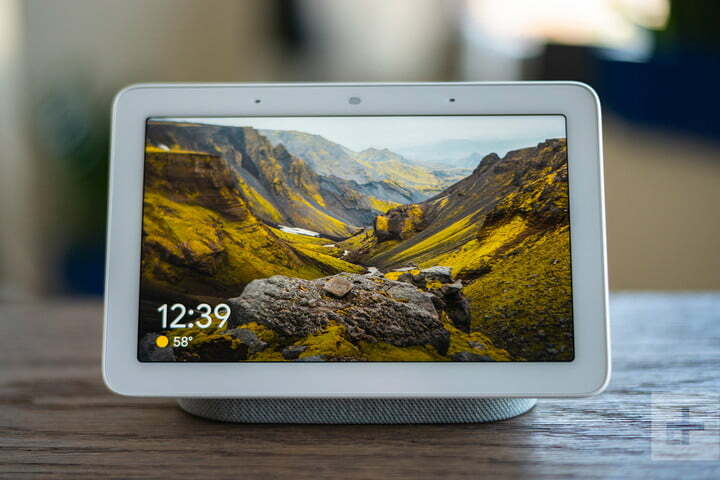 If you’re looking for an affordable Google Assistant powered smart screen that focuses on smart home control, then buy the Google Home Hub. If you’re seeking a bigger screen with better sound, look at the Lenovo Smart Display or Amazon Echo Show instead. Updated March 22, 2019 to add Interpreter Mode.